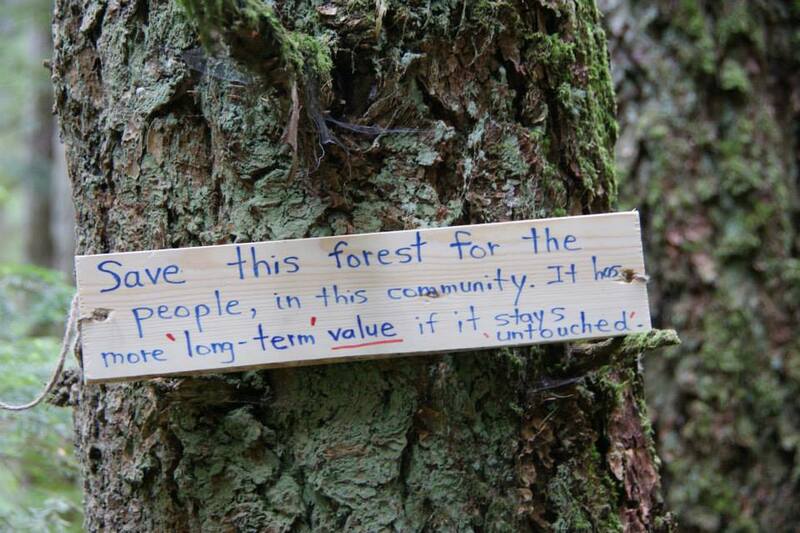 On the lower Elphinstone Forest Slopes, BC Timber Sales threatens to log another intact, older natural forest. 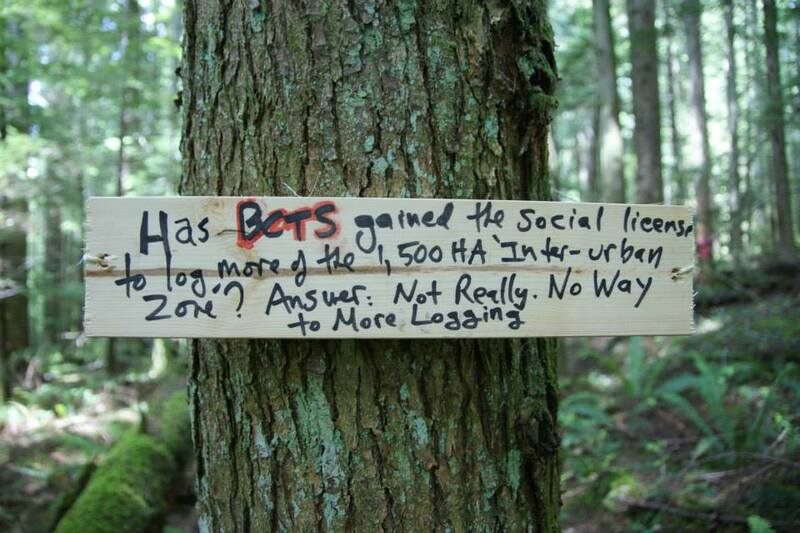 Its not pure old-growth, but has never been industrial logged. 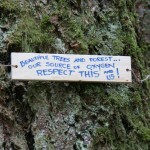 There was limited hand-shake cutting in the 1940s to early 50’s, however its an emerging beauty of a forest. 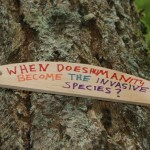 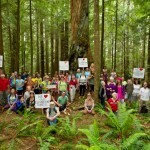 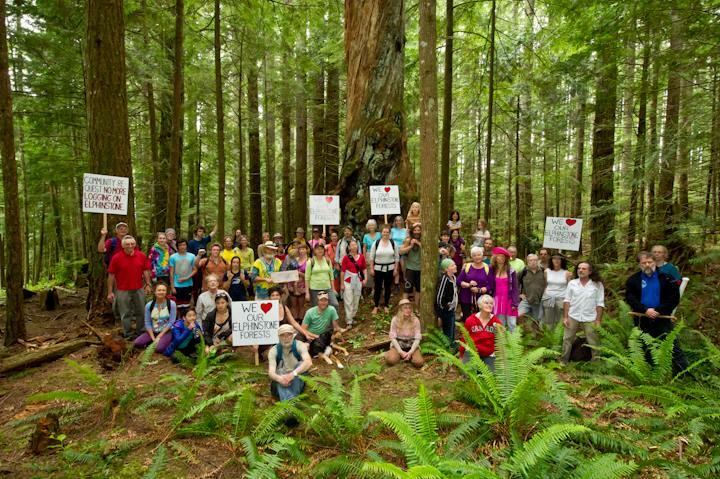 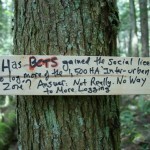 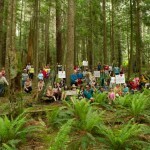 ELF cleared a ‘route’ following the proposed logging road and asked residents to write messages on signs indicating what this forest means to them. 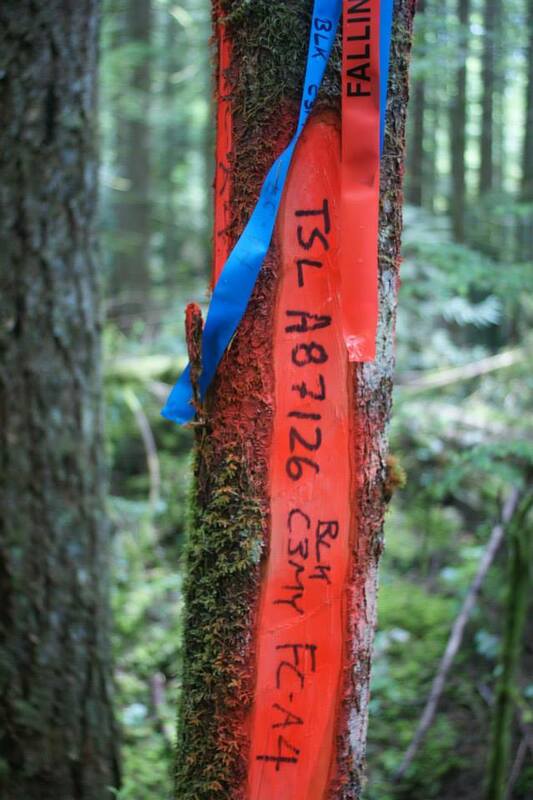 Logging contractors will walk this same route when they are checking out the timber. 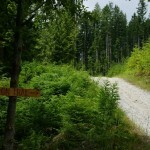 The block goes up for sale 1st week of July. 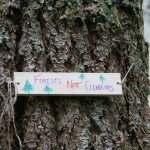 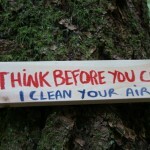 Please email BCTS’ Senior Forest Planner Mr. 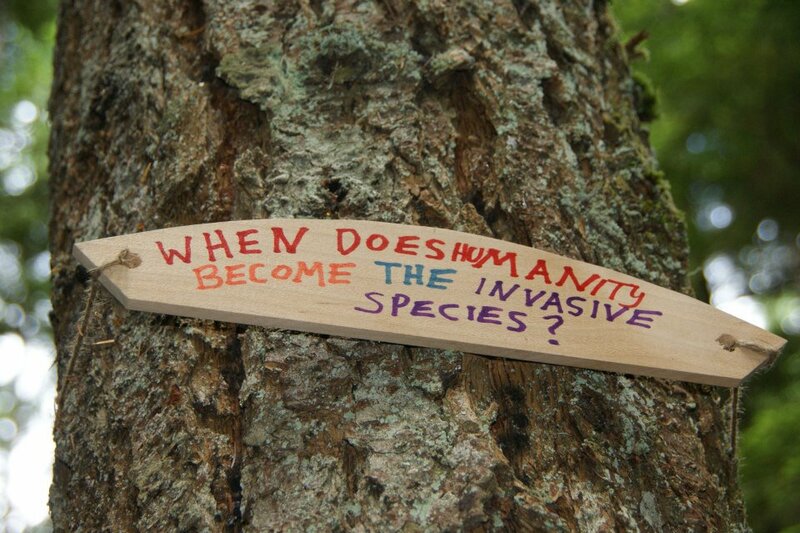 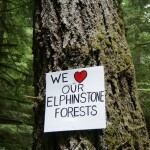 Norm Kempe at: norm.kempe@gov.bc.ca and request that he cancel the logging of another piece of Elphinstone. 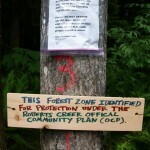 Refer to Cutblock A87126. 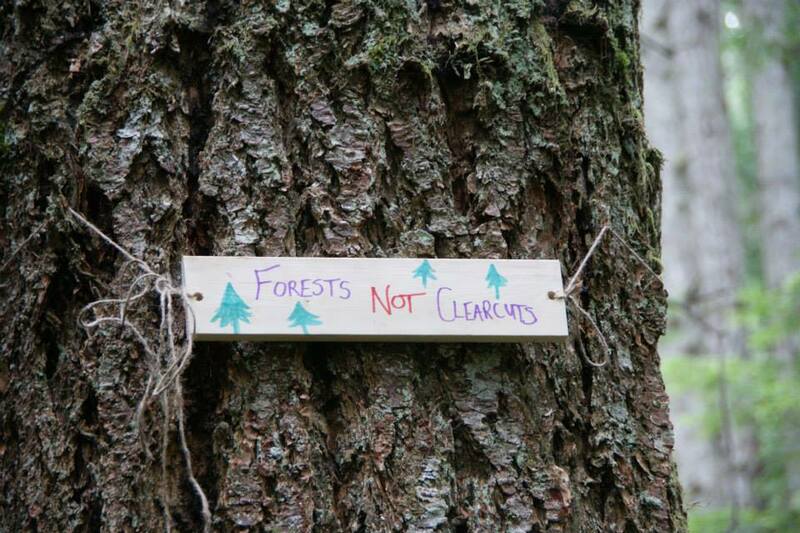 Thanks for your concern and support of ELF’s forest protection projects. 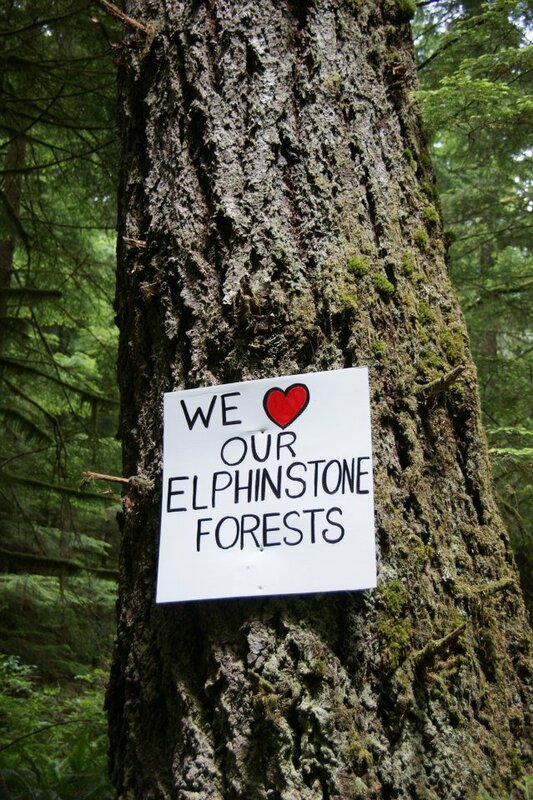 Elphinstone Logging Focus (ELF) is pleased to announce that a 2Km forest walk has been completed, through the ‘The Clack Creek Gallery Forest’, that features over 30 hand-crafted signs placed along the route. 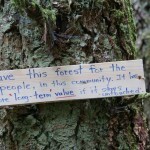 The signs are expressions of people’s connection to the forest and statements opposing logging proposed for the area. 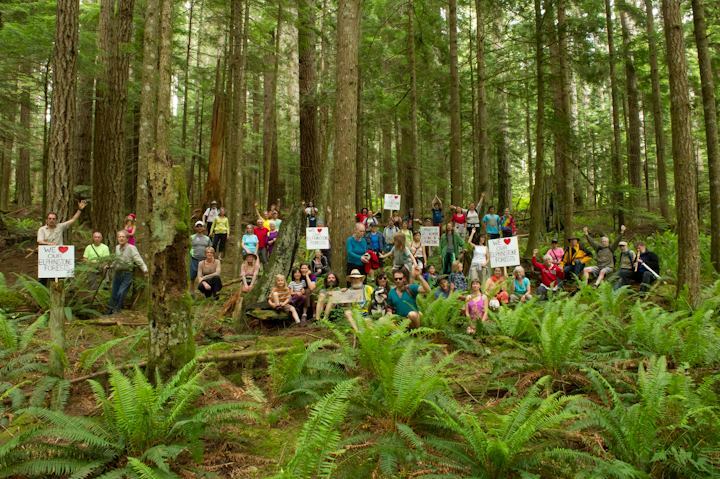 BC Timber Sales has ‘engineered’ Block A87126 across a gently sloped, older forest, that has many residents concerned about its impacts. 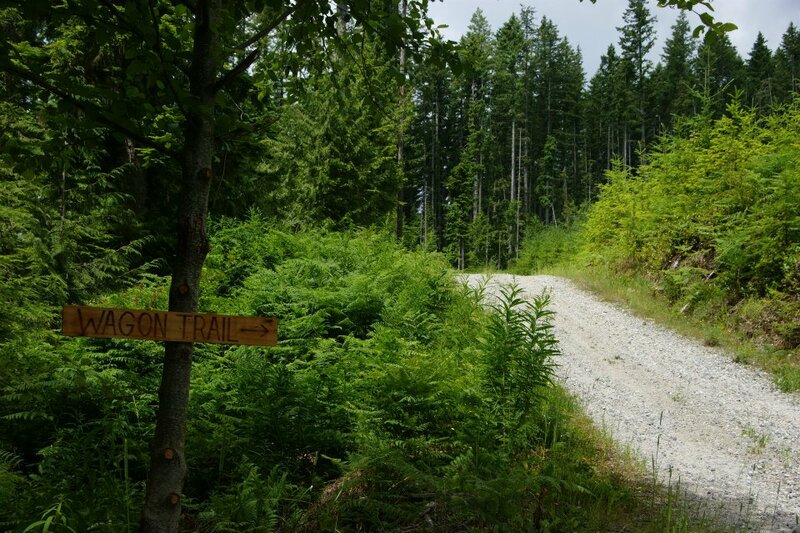 The forest contains some very large dead-standing trees, or snags indicating that its never been clearcut logged, an emerging stand of Western Hemlock and Douglas-firs create a tall canopy, and a rare native plant on the Provincial endangered species list was discovered (Rubus Nivalis) in 3 large patches in the cutblock. 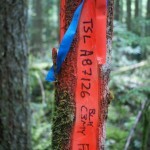 BCTS Block A87126 will be posted July 1st for sale. 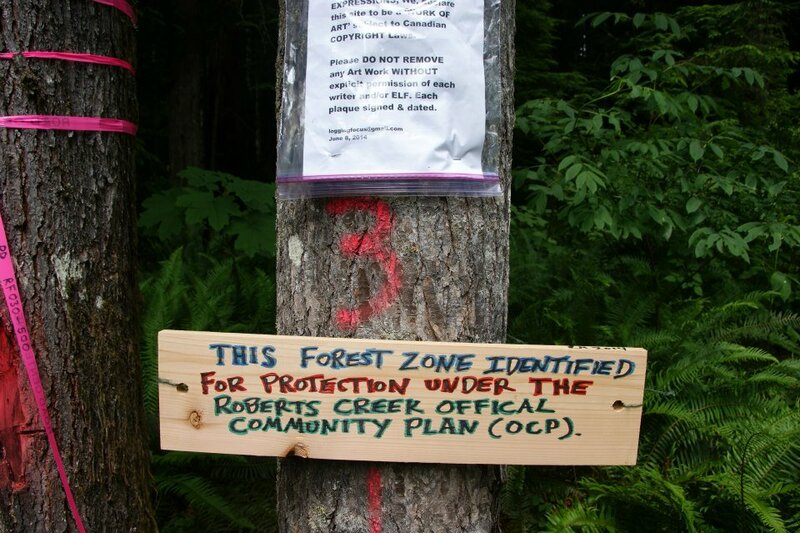 Logging contractors who are looking at the timber will walk down the road-centre line, and will see the many forest-signs. 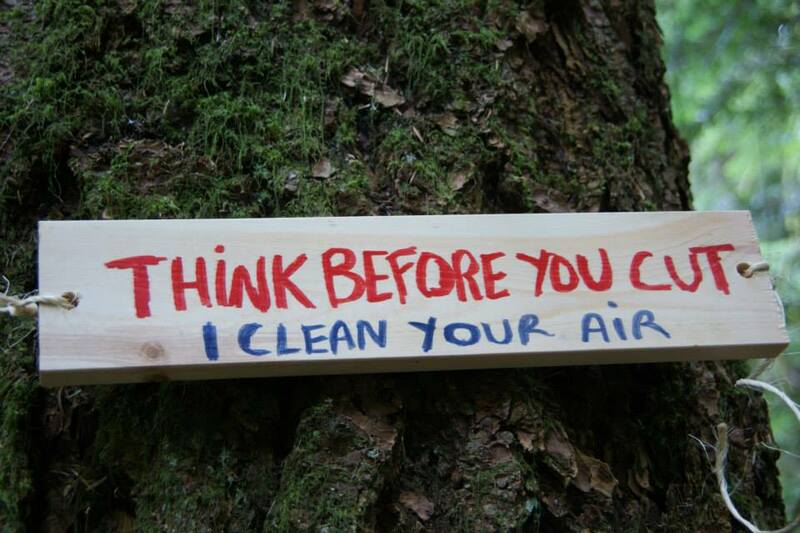 The messages range from: “Beautiful Trees & Forest – Our Source of Oxygen. 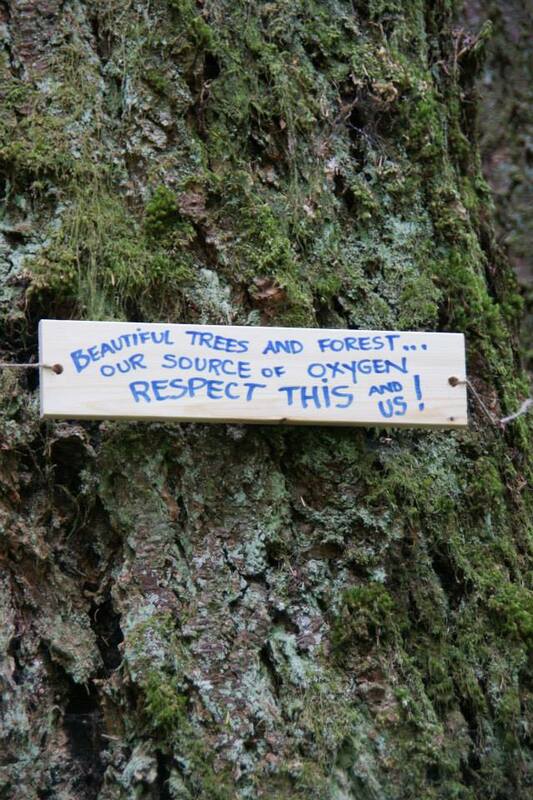 Respect This & Us”, “I am a sacred Being Just Like You. 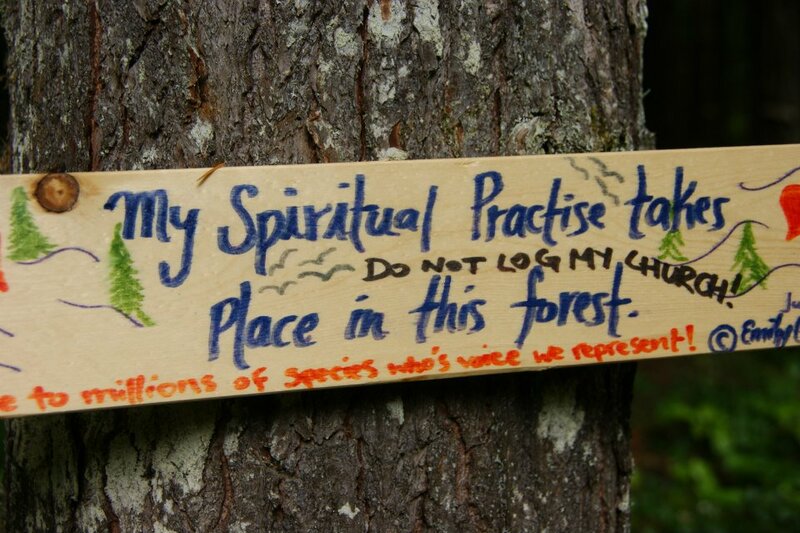 Please Don’t Cut me down”, “This forest intact is a massive efficient & vital carbon sequestering system – keep it intact”, “My spiritual practice takes place in this forest. 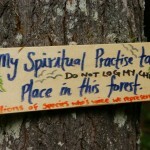 Do not cut down my church.” The signs are signed and dated by the residents.